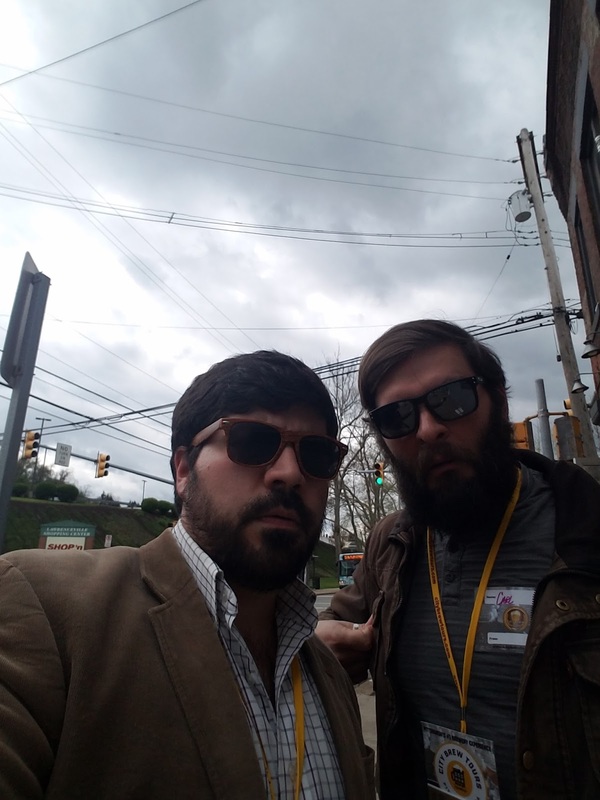 Pittsburgh is the newest city to join the City Brew Tours family. Their other cities include Philadelphia, DC, Baltimore, Boston and Burlington. Apparently the owner, Chad Brodsky, got his start in Burlington running around town in lederhosen telling people to get into his suspicious van. The current City Brew Tours van is much less suspicious and seats about 16 people. For $99 they will pick you up and drive you around to tour some of the following breweries: Spoonwood, Penn, Draai Laag, Cobblehaus, Couch, Allegheny City, Grist House, Aurochs and Hop Farm. 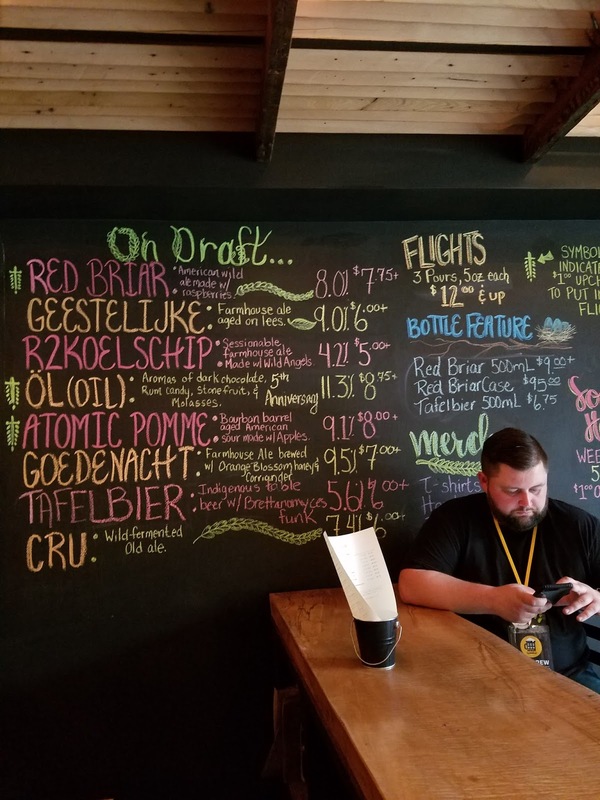 They generally select which breweries your tour will visit, but can customize your tour upon request. 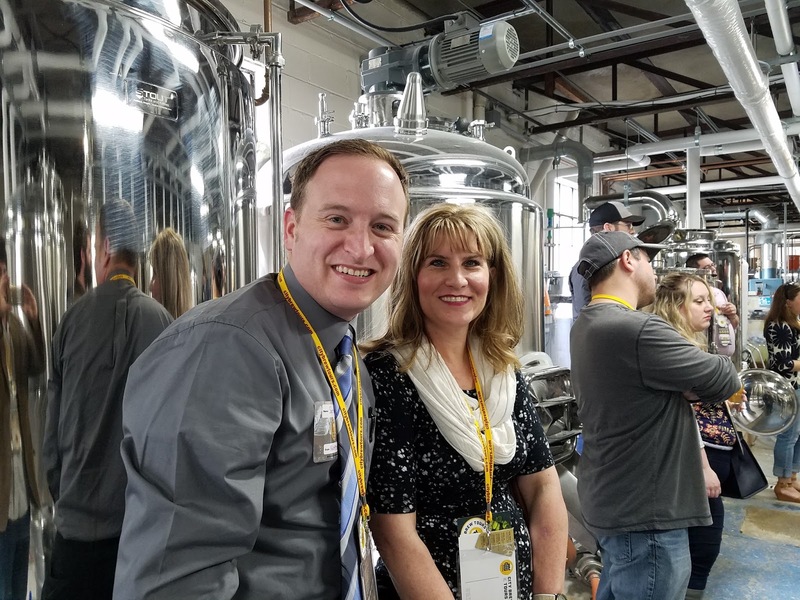 You can expect plenty to drink, some fun banter about the history of beer, an inclusive lunch paired with some local brews and a lot of information about the brewing process from the brewers themselves. An auroch is a type of extinct cow whose demise was thought to be brought on due to the expansion of agricultural development. 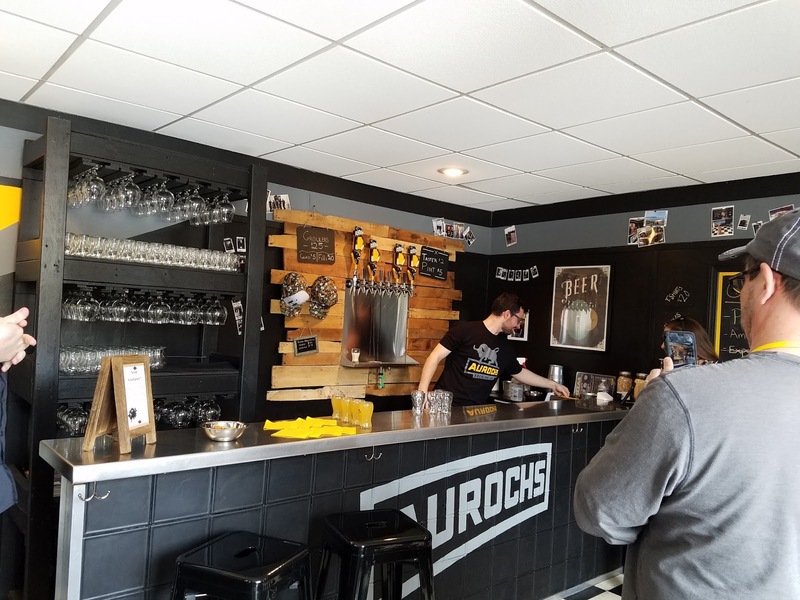 The name is quite cute as Auroch's is a gluten free brewery. Their beer is made from quinoa and millet and uses a process that includes no gluten whatsoever. (Many other gluten free beers are made by stripping the gluten from the brew after the fact.) Their faux wheat beer and their session IPA were some of the best beers I tried on our tour. I could not even tell they were gluten free which was quite uprising. I asked the brewers if they'd be interested in taking on a purine free beer. They didn't seem super interested. (The gout is brought on by the over consumption of purines which are extremely prevalent in beer.) The gout affects more people than gluten intolerance, and as such, I certainly hope to see some purine free beers in the US market soon. Several purine free beers exist in Japan, apparently they are not very good. For more information, check out this great reddit post. We had a wonderful lunch at Hop Farm. As I said above, your lunch is included in your ticket price. We were treated to a buffalo chicken ceaser, soft pretzels, a beef slider and some gouda beer mac. 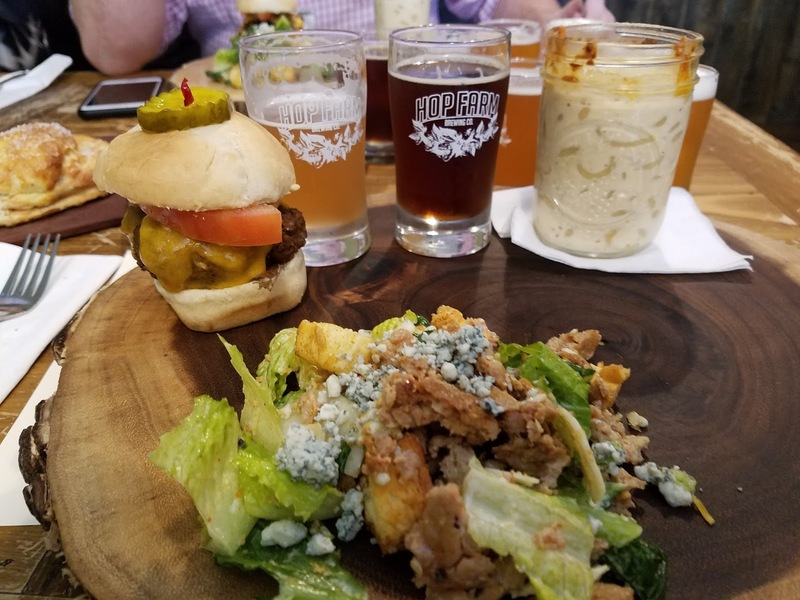 Each course was paired with a different beer, you can check out the pairings on the menu above. 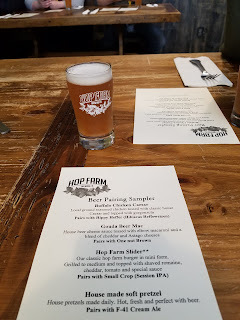 If you've been following my musings closely you are already aware that I simply love the food at Hop Farm and I have many nice things to say about them. Carl hated all the beers. (I'm just kidding, he seemed to really enjoy them.) My favorite beers of the day were served by Draai Laag. I've always though of Draai Laag as a small time operation that played second fiddle to Millvalle's Grist House. Boy was I wrong. Draai Laag is actually distributed in some 39 states throughout the country. Their beers are uniquely sour and yeasty in a way that makes me tingle. I've started drinking their products basically anywhere I can find them, and I can't wait to go back. 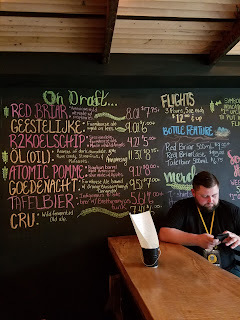 Overall, I have to say the beer tour was excellent! A ton of great information and a wonderful excuse to get out and enjoy the city. If you are considering booking a tour, just do it. You'll absolutely enjoy yourself.